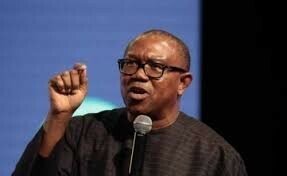 Former Anambra state governor now PDP Vice Presidential candidate, Peter Obi, has denied claims by the opposition party that he demolished mosques and sent Hausas out of Anambra state when he served as governor from 2007 to 2014. In an interview with journalists in Lagos yesterday, Obi described as sheer fabrication, wicked and inhuman, the allegation being circulated by the opposition that he snubbed the Sultan, Alhaji Muhammadu Sa’ad Abubakar III; drove the Hausa away from Anambra State and shunned the then Minister of Finance, Dr. Shamsuddeen Usman’s attempt at mediation and did not visit schools in the North. The fact is that the visit of his Eminence, during which I was alleged to have snubbed him was purely a courtesy call after which I personally accompanied him to see the Obi of Onitsha, Obi Alfred Achebe with whom he had a meeting. I also requested His Eminence to visit the Hausa community in the state during which I offered to rebuild and subsequently gave them the funds for that purpose.” Obi said.